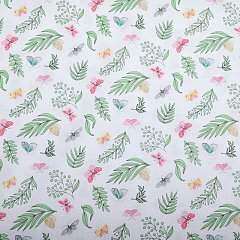 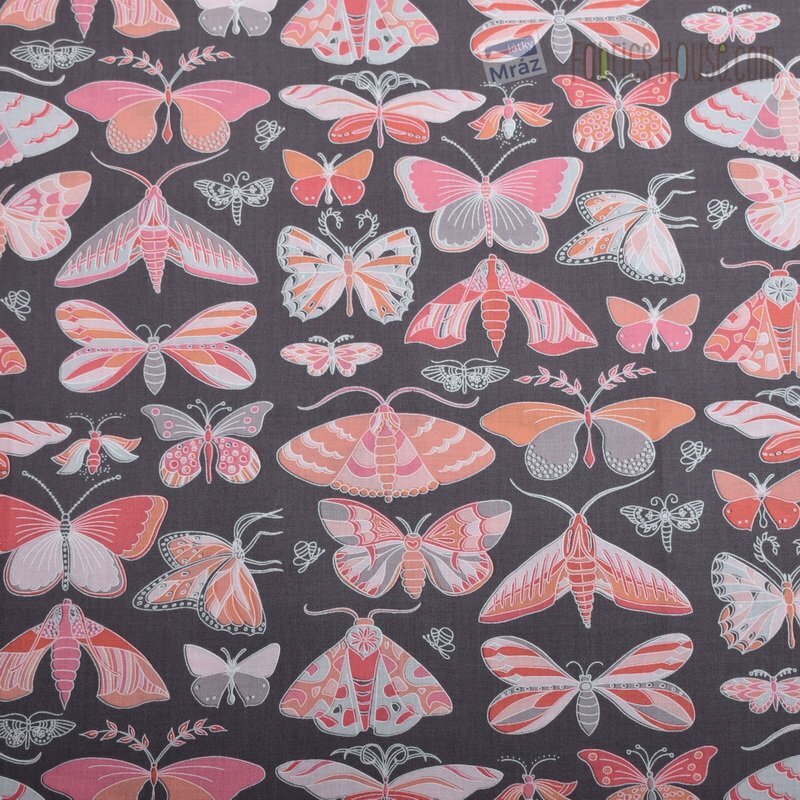 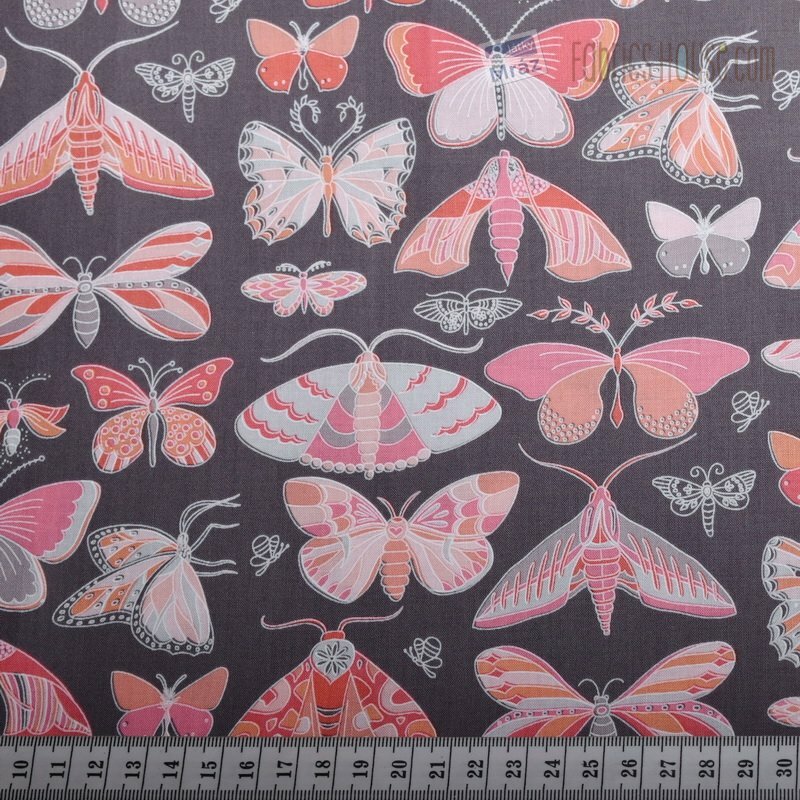 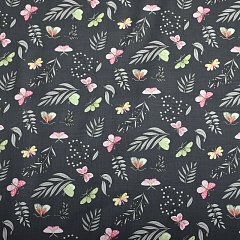 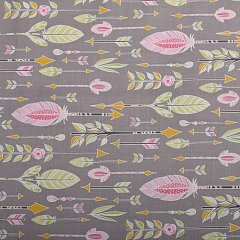 Cotton Joy Collection by Michael Miller Fabrics, butterflies on a gray background. 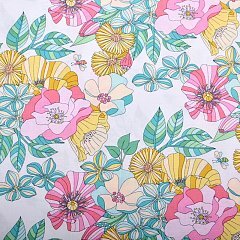 Very pleasant to feel, soft, well working with her. 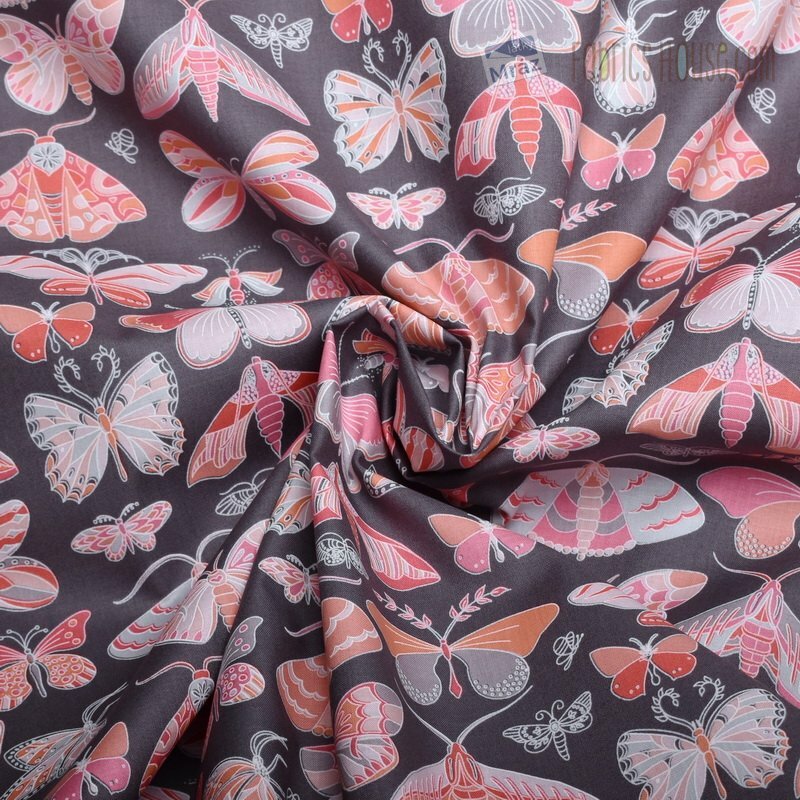 It has versatile use, both garment and decorative. 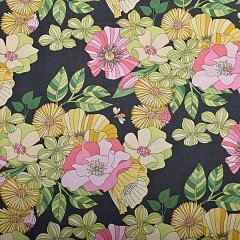 For example, on patchwork, dresses, skirts, handbags, pillows, blankets, home accessories, wallets, etc.